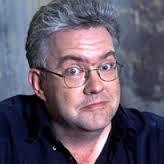 Ian McMillan walks into a pub.....the landlord says " you're bard ! ". In honour of Barnsley F C's poet in residence, I've penned a poem myself ahead of tomorrow's game. And the weather looks no better. Rather like my pathetic attempt at poetry, tomorrow's game is not exactly a mouthwatering prospect. As always respect to those travelling to Oakwell. I hope you will finally see the lads secure the first points of the season. None of the off-field shenanigans helps us and no matter what some folk might say, players are bound to be affected in some way by it. That's not me trying to defend last week's performance, that was shocking and very uncharacteristic of a Chris Powell side. No, just an observation that with seemingly no player's future or even the club's being in any way secure, it sure don't help ! How should we approach this game I don't hear you ask. I think we need to go for it given that Barnsley will be as nervous as us and they should be under more pressure given that they are at home. A possible 3-5-2 or 4-4-2 I'd suggest. Church probably deserves a chances and no matter what I'd get Piggott on at some stage. He has shown enough and is keen and can play without fear. It saddens me to say but Green doesn't deserve another chance and I feel Wilson is now the better bet. I'm certain Solly plays better when he or Pritchard is there. It seems Stephens wants to go up north, we're playing there tomorrow so why not give him a chance to impress ( I won't be sad to see him go, just gutted we didn't take the Villa bid.........even Mr Magoo would have seen that as a good opportunity ). I'm far from confident surprisingly but let's hope we can get our season started tomorrow. Long To Reign Over us !